The negotiations between the United States and the Taliban may represent the most important turning point in Afghanistan since the 2001 US-led intervention. But the path to an internal Afghan peace process is difficult, and only history will tell whether these negotiations marked the onset of a sustainable Afghan peace process or became just a fig leaf that enabled American withdrawal. For the full week before last, the US Special Representative for Afghanistan Reconciliation, Zalmay Khalizad, sat in meetings with the Taliban’s political representatives in Doha. Accordingly, the most important barrier to an Afghan peace process – America’s refusal to negotiate directly with the Taliban – has been removed. The Taliban have consistently said that they would negotiate directly only with the United States, which they view as an occupying power, and not with an Afghan puppet government. America’s change of tune has been met with disbelief both in Kabul and in Afghanistan’s neighbouring countries. Even many of the people who want American forces out of Afghanistan think this is irresponsible, and they fear the consequences. The Taliban have long been clear that they take distance from international terrorism. President Trump, however, has long been clear that he wants a withdrawal: the American presence is expensive, and the prospects of winning the war are small. For the Taliban, the main demand has been that the United States should withdraw its forces. The American military have not wanted a withdrawal – it would be a clear defeat, and many believe that Afghanistan would again become a hotbed for international terrorism. Until recently, Trump has acceded to his military advisers. In Doha, the parties apparently agreed on a timetable for withdrawal, with mentions of timescales ranging from six to eighteen months. An important question is whether the Taliban will insist that American forces must leave before they will start internal negotiations with the Afghan government, or whether such negotiations can start as soon as an agreement with the United States is in place. In the absence of an American military presence, the Afghan government would of course have a weaker negotiating position with the Taliban. The second issue that Khalizad claims to have secured agreement on in Doha is that the Taliban commit to prevent international terrorist groups from operating out of Afghanistan. This is not necessarily anything new, as the Taliban have long been clear that they take distance from international terrorism. At the same time there is speculation as to whether the discussion in Doha went even further. Could the Taliban’s military capacity become a spearhead in the fight against international terrorism? In recent years, IS has established itself in several parts of Afghanistan, a development that both the United States and the Taliban view as problematic. A ceasefire is an inevitable part of a peace process, but the question is when it can and should occur. The Taliban themselves use terrorism as a means to achieve their ends, and they maintain contacts with international terrorist organizations. Their focus is on Afghanistan, however, not on a global conflict. During the Eid celebrations last summer, both the Afghan government and the Taliban declared a ceasefire. The ceasefire lasted for three days, and people from the two sides celebrated by sharing festive meals and taking selfies. The government wanted to extend the ceasefire, but the Taliban would not do so. In 2018, the death toll was higher in Afghanistan than in any year since 2001. The country tops international statistics for deaths in conflict. Unfortunately, this also reflects the fact that the Taliban are strengthening their military position, and that they see this as key to a strong negotiating position. For an organization with a strong focus on warfare, laying down its weapons at the start of a political process seems a risky strategy. 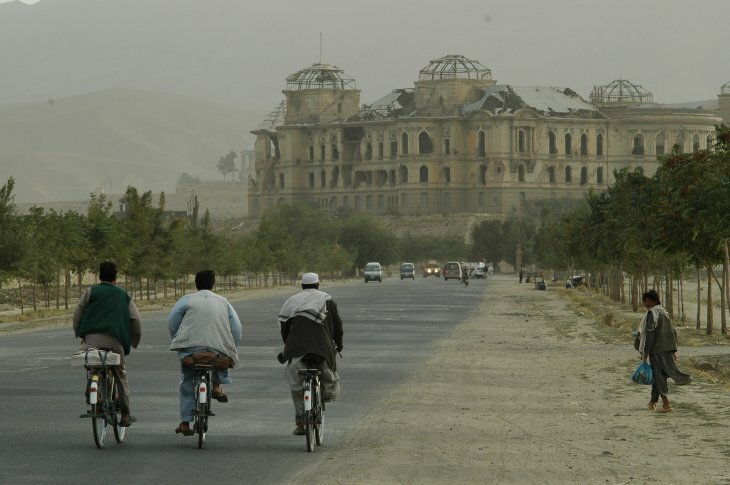 Many fear that if an agreement between the United States and the Taliban is reached too quickly, the next phase will be an escalation of the war and governmental collapse. The really big question is how one can move from an agreement between the United States and the Taliban to an Afghan peace process. The American U-turn means that the Taliban’s most important demand, concerning withdrawal of international forces, can be satisfied in advance of intra-Afghan peace talks. Khalilzad, the American special envoy, travelled directly from Doha to Kabul, where he held talks with President Ghani. After the talks, President Ghani emerged and spoke for the first time about a future Afghanistan without a foreign military presence. At the same time, he caused a stir when he drew a parallel with the early 1990s, when the then-president resigned following talks led by the UN, and was subsequently hanged by the Taliban when they captured Kabul in September 1996. The most recent elections have been characterized by widespread fraud, huge disparities in participation, and enormous security problems. According to the rumours that swirled around the talks in Doha, there has been suggestions of replacing the current Afghan government with a transitional administration in which the Taliban are also represented. Special envoy Khalilzad denies that this idea has been raised. At the same time, it is no secret that relations between Ghani and Trump are poor. There are plans to hold an election in Afghanistan in June 2019. But an election then could complicate the peace process, and the most recent elections have been characterized by widespread fraud, huge disparities in participation, and enormous security problems. Yet, Ghani’s government is democratically established and internationally recognized, and it not easy to see how one could get it to peacefully resign in order to be replaced by a transitional administration. This last point also connects to the issue of the Afghan constitution, which the Taliban have steadfastly maintained is invalid, but which many Afghans see as untouchable, for reasons that include its protections for freedom of expression, democratic participation, and women’s rights. On the other hand, the constitution is also crystal clear about the country’s Islamic identity, and about the fact that Islam is the basis of its laws. Many are now hoping for a consensus regarding a limited revision of the existing constitution. Generally speaking, there is much that we do not know about the Taliban’s political objectives. In part, this reflects the organization’s military focus. It may also be a deliberate choice – clarity on key issues can be internally divisive. Many people remember the Taliban’s reign of terror in the 1990s, and fear it could happen again. Accordingly, it is important to support the organization’s development of a political agenda, as was done when some years ago when Norway played the lead in bringing together Afghan women’s rights activists and Taliban representatives. The political negotiations between the United States and the Taliban may mark the most important turning point in Afghanistan since the American intervention in 2001. No one can exclude the possibility that the talks will become deadlocked, or that Trump will be forced to continue the war. But right now it seems far more likely that there will be an agreement between the United States and the Taliban. The question is, what will happen next? Can we hope for a broad Afghan peace process that will result in a peace treaty that is embraced by the country’s central actors? Or will an agreement between the United States and the Taliban simply provide support for an American withdrawal that will be followed by new rounds of warfare? This article originally appeared in Norwegian in Aftenposten.